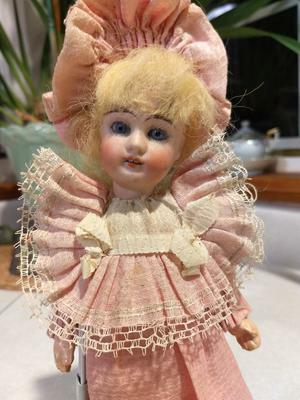 I have a doll that has been in the family since the 1800's. There is know one to pass it on to. 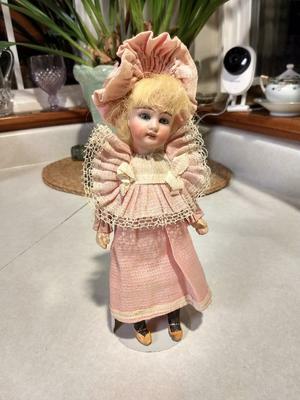 She is really stunning with original clothes, glass eyes, teeth, porcelain head, some type of composition body. Very light weight composition....she has a small hole on each side of her head above her ears...covered by her hair. She is 9 inches tall. If anyone can help with information or value it would be hugely appreciated!